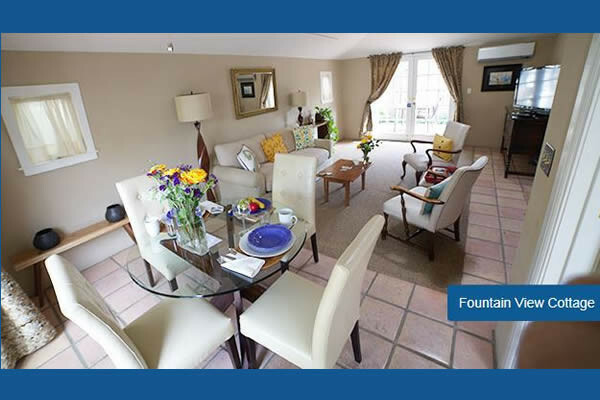 These Sonoma Valley and Wine Country vacation rental cottages adhere to the highest standards of cleanliness and maintenance. All are within easy walking or driving distance to the wealth of activities in Sonoma County. All stays include a complimentary WINE TASTING PASSPORT for two. Both spacious and cozy, this two-bedroom Sonoma Wine Country vacation rental at Inn at Occidental is the best of both worlds. 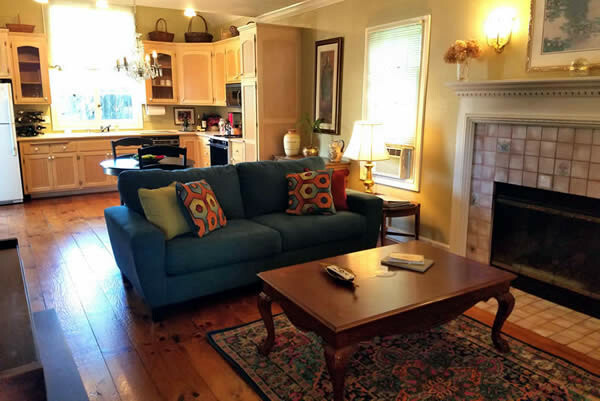 Sonoma Cottage is private, yet still convenient to the inn, just 38 feet away. Offering guests 2,200 square feet of space to relax in, the cottage has all the comforts of home and is perfect for a friends’ getaway in the Sonoma Valley. The fully furnished living room features a fireplace, two sofas (one folds out to sleep two guests), an easy chair, and 12-foot ceilings. A simple dinner or catered event may be comfortably prepared in the fully equipped kitchen, while the dining room can seat up to 10 friends or business associates at the Hawaiian Koa table. Both the upper and lower bedrooms are spacious, over 280 sq feet and feature king beds that can be configured into twins. Additional amenities in each bedroom of the Sonoma Cottage include a fireplace, private bathroom, spa tub for two, and cultured-marble vanity. Secluded beneath towering redwoods in the charming hamlet of Occidental, the Inn at Occidental is centrally located to the spectacular vineyards and orchards of Sonoma wine country, the stunning beaches and cliffs of the Sonoma Coast, and the meandering Russian River. The perfect location, just one hour north of the Golden Gate Bridge in West Sonoma wine country. Relaxed and personal, it lies closer to the sea (and farther from the traffic) than neighboring Napa. It’s the wine country with meandering roads and gently sloping hills-where nationally known vineyards and family-run operations exist side by side. The Inn at Occidental offers formal and informal meeting space and accommodations for weddings, corporate retreats or family gathering. Garden Courtyard surrounded by roses offers a picturesque site for weddings up to 110. Fern Grove Cottages were built in the 1920s for vacationing guests visiting the Russian River area from nearby San Francisco. The tradition continues, as Fern Grove Cottages remains the “”Russian River’s Best Getaway”. The cottages have been lovingly restored and many still retain their original knotty pine ambiance and warm yesteryear memories. Everyone is welcome at Fern Grove including well-behaved pets and children, with prior notice. Fern Grove is located just three blocks from the village of Guerneville with its quaint shops and selection of restaurants. You may also enjoy an easy walk to the nearby swimming beach on the Russian River. We have Fern Grove cruisers which guests can use to bike into town, to the Armstrong Redwood forest, or to nearby mini-golf. Guests are invited to enjoy Fern Grove’s heated saline water swimming pool (May 1 – September 30). Within three miles of the cottages are canoe trips on the Russian River, hiking in the impressive Armstrong Woods State Reserve and wineries. The incredible Pacific Coast is also an easy 15 minute drive away. A block from Sonoma’s quaint town square, step into The Cottage Inn & Spa and be transformed by its peaceful setting. Enjoy a private room and suite featuring unique architectural design elements, some with fireplaces, Jacuzzi tubs, kitchens, and private patios. All stays include a continental breakfast, Wi-Fi, health club privileges, and a complimentary wine pass to many Sonoma Valley wineries. Our attentive staff is always available to make sure your wine country vacation is memorable. Stay. Relax. Enjoy. The brand new Vineyard Bungalow is the gem of our recent remodel! It is a lovely stand-alone bungalow tucked away amidst our gardens and vineyard. 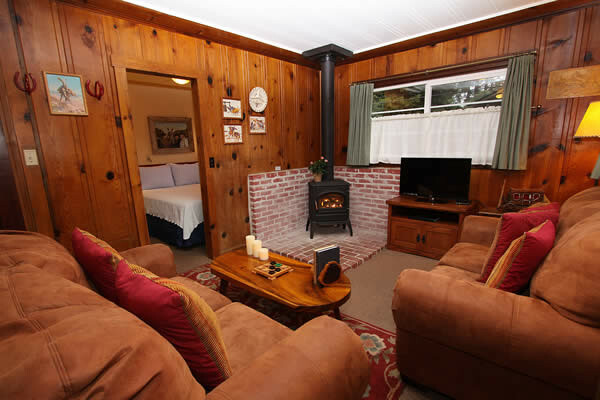 The Bungalow has a beautifully furnished bedroom with kingsize bed, fireplace and TV. It features a separate sitting room for relaxing with TV and patio; includes a sofa sleeper. There is a peaceful patio facing our cabernet grape vineyard. As always, enjoy our delicious breakfasts in the historical farmhouse. Cottage amenities include blissfully comfortable pillow top mattress, luxurious cotton linens and towels, down pillows and comforters, bathroom furnished with luxurious amenities, comfy bath robes and hair dryer, refrigerator supplied with bottled water, two cable TVs, free high-speed internet access, 24-hour coffee and tea available to our guests. Mention “GO-Sonoma.com” and get $55 off each night (Sunday – Thursday)! Modern luxury in an historic setting. A Victorian farmhouse built around 1894, Case Ranch Inn is a registered Sonoma County historical landmark lovingly restored by the owners and opened in 2001. This beautiful inn sits on 2 acres on a country road and is a registered National Wildlife Federation Backyard Wildlife Habitat. Enjoy our large deck under the shade of our old Sycamore trees, walk in our gardens, enjoy your morning beverage and newspaper on our east-facing wrap-around front porch. Case Ranch Inn captures the intimacy of a traditional bed and breakfast where we provide the personalized service and warm hospitality of a small country inn. 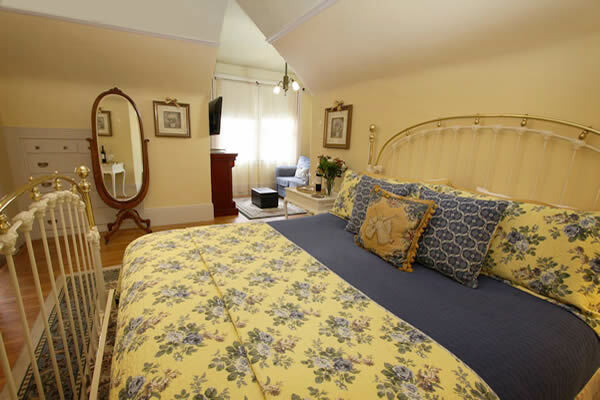 Haydon Street Inn is a bed and breakfast inn located a short walk from downtown Healdsburg. Built at the turn of the century, this Queen Anne Victorian is the perfect place for your wine country vacation. They are known for their super comfy beds and delicious three-course breakfasts and a wine hour in the early evening (sometimes with wood-fired pizzas). All of the guest rooms are fully equipped with private baths, A/C, spa robes, hair dryers. All of the king rooms have luxurious tubs (some with whirlpools), fireplaces and refrigerators. There is also complimentary WiFi throughout and an off-street parking lot. Your own comfort-plus “home away from home,” – these spacious gems will provide you with all the amenities you need to enjoy the perfect vacation. Each cottage has a bedroom with a king-sized bed, a tiled bathroom with both shower and bathtub, a large living-dining area with a gas fireplace, TV with DVD, and a fully equipped kitchen with a gas stove and a full-sized refrigerator. These beautiful cottages are uniquely appointed and open out onto decks that surround the pool. Just step out from your “new home” to enjoy all the beauty and pleasures of the best that the Russian River has to offer you. One cottage has two separate bedrooms with king-sized beds in each, and two individual tiled bathrooms – one bathroom has a shower only, and the other bathroom has shower and bathtub. This cottage also comes with a small dining area, a very nice kitchenette that has a microwave, a coffee maker, a full-sized refrigerator, and all the other amenities. The Woods Cottages & Cabins at the Russian River is the perfect answer for a rejuvenating, relaxing and slightly “spirited” escape to the Sonoma Wine Country. The Woods, a Russian River Hotel that is centrally located in downtown Guerneville, is situated between the tall, swaying redwood trees and the hypnotic flow of the splendid Russian River for the ideal getaway! The Woods Resort, Russian River Hotel, offers cottages, free-standing guest cabins and multi-room suites with full kitchens, gas fireplaces, private balconies and stunning views of lush redwood forests. 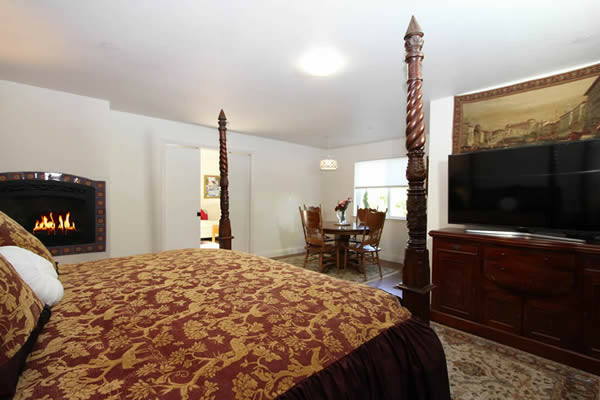 Additionally, each room features a 43″ to 49″ High Def Flat Screen TV. The resort has one of the largest swimming pools in the area and has full sun all day long. trip advisor excellence awardWith an outdoor fireplace, stone fountains and romantically lighted landscaping, your stay is guaranteed to make you forget the chaos of the real world. 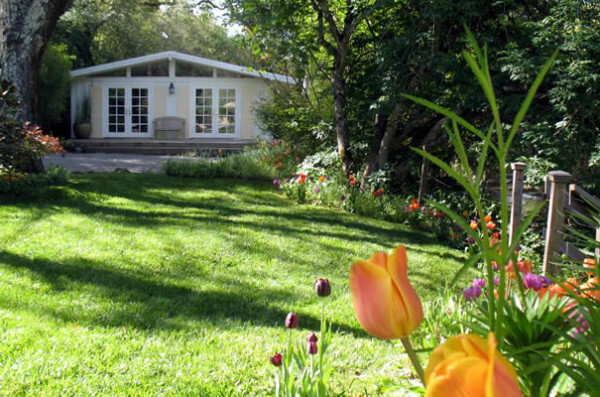 Sonoma Creek Cottage is located in the heart of the Sonoma Wine Country. 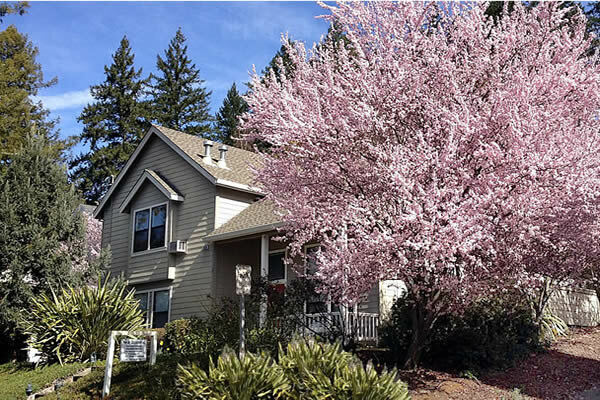 This private & gated two bedroom, one bath home is an exact five minutes’ drive to either town of Glen Ellen or Kenwood. Landscaped with care, this property offers an away-from-it-all serenity with breathtaking gardens and desired amenities. 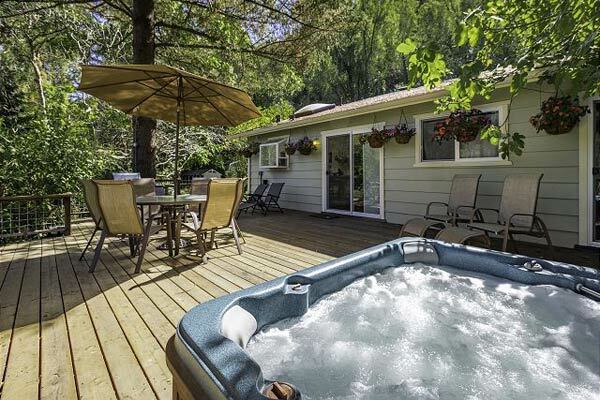 Enjoy the outdoors with a dip in the private, solar heated pool or relax in the new, spa-like six person hot tub right next to the outdoor shower with waterfall and body jets. With creek access by way of a flight of stairs, you may choose to explore, or you may prefer to sit on the wrap around deck while listening to the year round babbling of the waters below. The homeowners have planted hundreds of daffodils and tulips as well as roses, iris, and wisteria. The open and light-filled floor plan will be your home away from home. The tastefully decorated living room is equipped with a gas fireplace. The dining area and kitchen are wrapped by French doors with retractable screens. These open onto the lovely wrap around deck with views and sounds of the creek, woods and flower gardens. There is also a gas barbecue on the deck just off the kitchen and ample seating. The master bedroom is equipped with a queen-sized bed. The second bedroom offers a full-sized bed and french doors leading to the hot tub and outdoor shower. The sofa in the living room offers an additional sleeping space by converting to a double-sized bed. The freshly remodeled bathroom has a pedestal-style, marble sink and a soaking tub & shower overlooking the creek and woods. 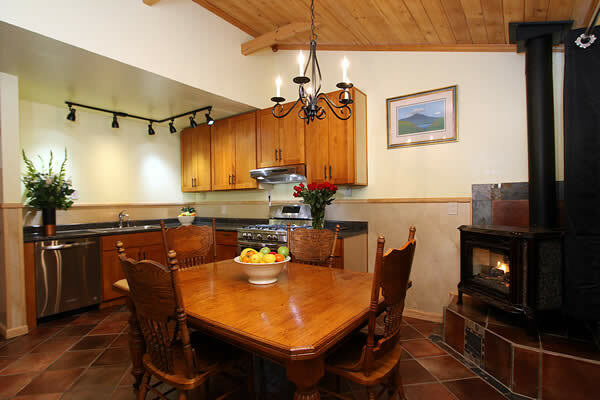 Whether you are one or two couples traveling together or a small family Sonoma Creek Cottage is beyond exceptional. Please Note: We apologize, but we do not welcome families with children older than 6 months and younger than 8 years of age. Parents traveling with children of appropriate age will be required to sign a release form affirming that no children outside of permitted age range will be on the property. Santa Nella House … in the middle of nowhere … and at the center of everything! This Russian River bed and breakfast, in the Sonoma Wine Country, is a Victorian farmhouse dating back to the 1870’s. Built by a prominent physician as his residence, the property has been an olive oil mill, a winery, a speak-easy, a stage coach stop and, since 1984, a bed and breakfast inn. Extensively renovated and modernized, the stately structure boasts five bedrooms and five and half bathrooms. 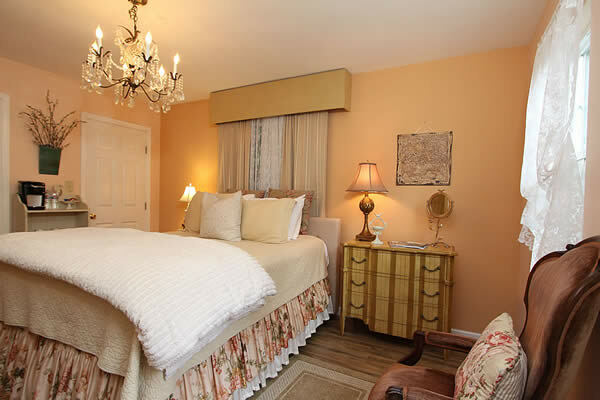 Each room is tastefully furnished with antiques, features its own fireplace and a modern bathroom. The spa area is located in the midst of a redwood grove and seats six. A full gourmet breakfast is served between 9 and 10 AM, wine and cheese are set out at 6 PM and homemade treats are available for guests before they retire for a peaceful night’s sleep. The innkeepers welcome guests with a glass of wine and some helpful advice on where to explore the wonderful Russian River recreation area. 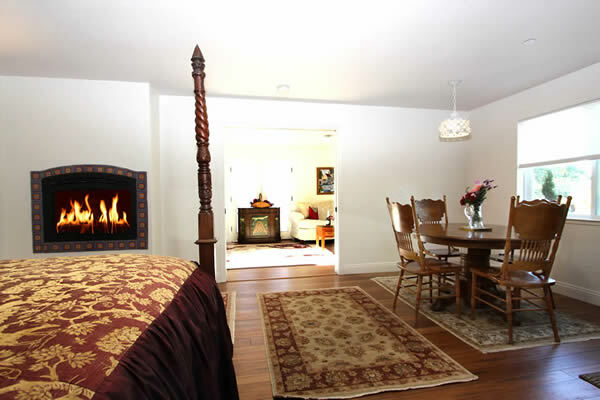 Read more about Santa Nella House, a Sonoma Wine Country Bed & Breakfast Inn.